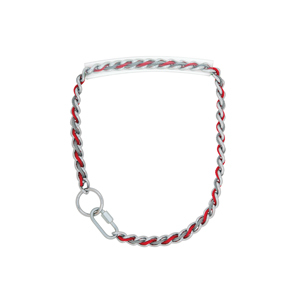 Colorful inlays give these chrome plated chain collars a look that stands out in a crowd. Perfect for expressing your personal style or school spirit, these collars feature a clear rubber handle that feels great in the hand. Quick link ends offer easy on and off. Measures 22".